The Tweed Champ is arguably the cutest and most useful little amp ever built. Entire albums have been recorded with them, you can carry one in a small suitcase, the tone sits in a mix perfectly with minimal eq’ing, they are virtually indestructible. 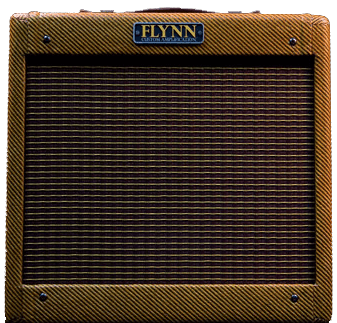 The Tone is pure classic Tweed with one control knob. Pure simplicity. 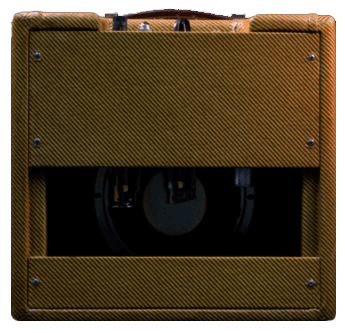 The Tweed Champ has one of the simplest valve amp designs ever. One pre-amp valve, one output valve and one rectifier valve give the Champ a grand total of 5 watts. The tone is very focused and records wonderfully. This is one of the reasons it has been a studio standard since it was first designed way back in 1948. The simple approach is again evident in the control panel which has one knob…volume.